Below you can view all the homes for sale in the Union Heights subdivision located in North Charleston South Carolina. Listings in Union Heights are updated daily from data we receive from the Charleston multiple listing service. To learn more about any of these homes or to receive custom notifications when a new property is listed for sale in Union Heights, give us a call at 843-536-4108. In addition to the parking space at the back of the lot, this listing adds a lot zoned residential R-1, single family MLS#19011265. Agentowned Charleston Group. Please complete any due diligence before making offers. MLS#19006485. Brand Name Real Estate. Also, research the Opportunity Zone, which is bringing business and revenue to this area. MLS#18026460. Brand Name Real Estate. 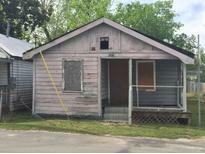 !House being Sold AS IS CONDITION ,three bedroom one bath ,Tenant occupied with good rent income , rent is $850 Month to month Lease ,Please don't disturb Tenant.Great investment property close to downtown. 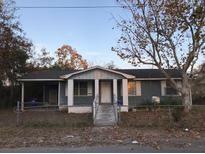 MLS#17032348. Ismail Real Estate Llc. These statistics are updated daily from the Charleston Trident Association of REALTORS® Multiple Listing Service. For further analysis or to obtain statistics not shown below please call Highgarden Real Estate at 843-536-4108 and speak with one of our real estate consultants.